Paulo Dybala's goal in Juventus' 2-0 win over Genoa in the Coppa Italia will do his confidence the world of good, but the Argentina forward never lost his way insists Massimiliano Allegri. Dybala was benched for Juve's matches against Inter and Bologna, but was restored to the starting XI on Wednesday and responded with a goal, and an assist for Gonzalo Higuain. 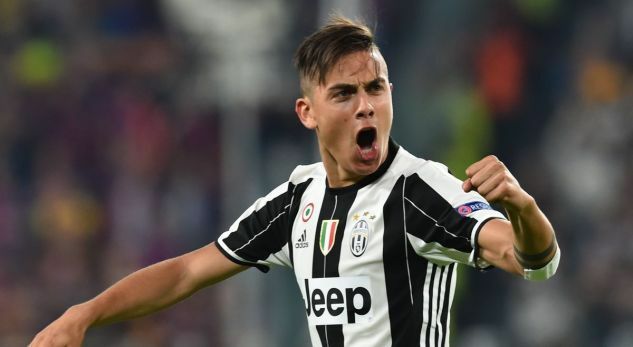 Head coach Allegri had called on Dybala, who has 12 Serie A goals this season, to produce more when speaking before the game, and believes he will flourish after rediscovering the goalscoring touch. "Dybala put in a good performance, as did the whole team. We all want Dybala to get back to being Dybala, as he's an extraordinary player. He needed a good performance, but above all a goal, as it can help him find some calm and confidence, but it's not as if he ever truly lost his way," he told Rai Sport. "Dybala just has to focus on doing the simple things. He doesn't need to prove himself in every single game, as that only increases the pressure. He should play as he did tonight. "I was satisfied with the overall performance, as we covered the pitch well and allowed Genoa nothing. "Obviously, when Dybala is the centre-forward, then the box must be filled with runs from the wingers and midfielders. It's something we can test out but, in order for it to work, we need the wide men to constantly push forward." However, despite the victory Allegri was not completely satisfied with his team's performance and admitted he had become frustrated with some of their defensive mistakes. "I was angry because we gave the ball away three or four times coming out of defence," he added. "If in doubt, kick it away. "We've got two days to prepare for Roma, we'll see how the players who are carrying injuries are doing. It's a head-to-head clash and Roma still have a game in hand, so they could potentially be right up there with us." Juventus welcome Roma to Turin on Saturday, with the Giallorossi just three points behind Allegri's side in Serie A having played a game less.